Wedding day details photographed as part of a wedding at the Kenwood Hall Hotel in Sheffield. An engagement ring can really be seen as the start of the journey on your life together, it is the expression of the love felt from one person to another and the signal of an intention to bond for life, the acceptance of the ring is in turn the return of this commitment. Small details captured on a Wedding Day help to recreate the story of your wedding day at a later date. The pictures should, as far as is possible tell your story of your wedding day. The items which have been bought to form part of your day will have taken much thought and probably expense to collect together, the photographing of these items preserves the memory of them long after the day is done and has passed into history. Some items like flowers only have a relativly short lifespan and once they are gone only memories and pictures of them will remain, it is our pictures that will remind you of your special day as you look back for years to come. 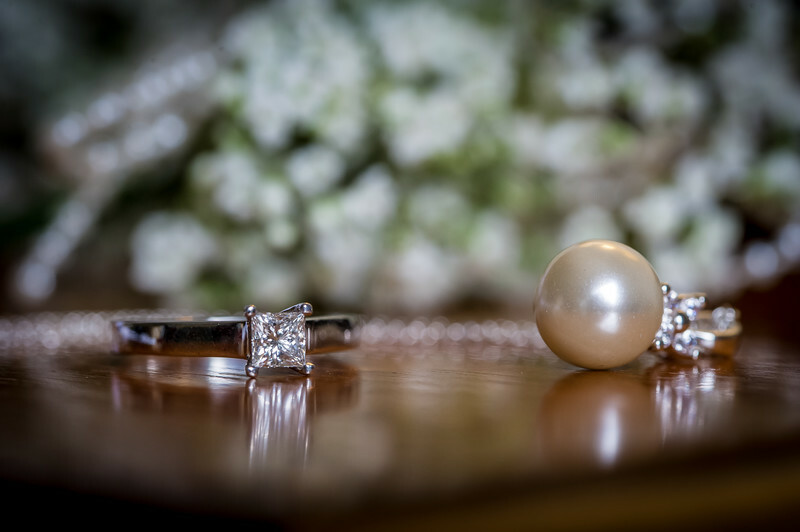 This Engagement ring and necklace were photographed at a Kenwood Hall Hotel Sheffield Wedding on an absolutely blisteringly hot day!